Hello guys...new here! 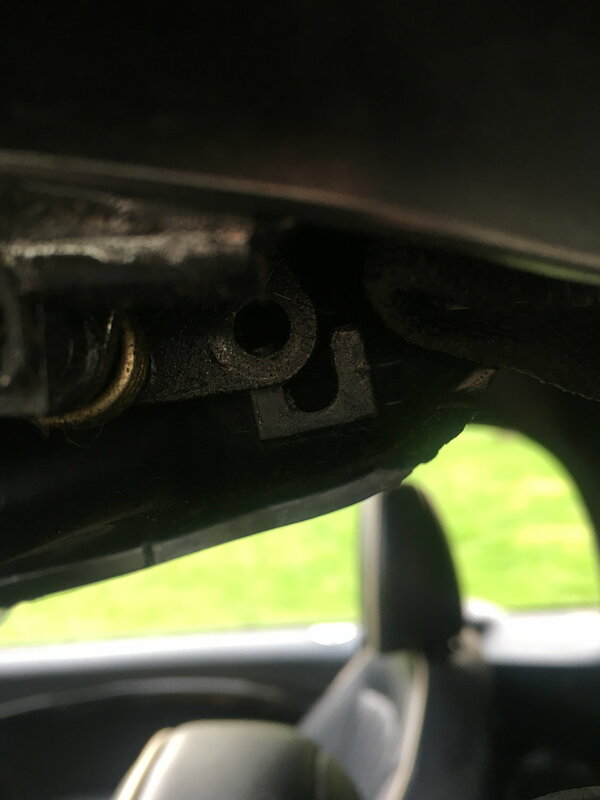 2012 Mini Cooper S convertible.....just bought this car used and yesterday went to put the top up and heard a “pop” and the middle trim piece is now hanging a little low....it was hanging way down, but I was able to push it back up. I took a photo of what looks like where a screw goes, but I can’t make heads or tails of what exactly I need! Ive read this entire thread...but no idea what I need to purchase! Can anyone look at the photos photos and help me? OK, so if you are sure it is an R57, I have looked at realoem and part 21 or 22 are your only bet. Compare with the other one and see which one it is. I am nowhere near my car until Friday so I can have a look the but I have no recollection of seeing that spring on mine and I have replaced the fabric so would have seen it. Quick Reply: Plastic fitting on roof came loose?